Our brand was established in 2014 by a team of passionate pet owners that wanted to provide safe and affordable pet products. Specializing in dog and cat care, our growing catalog of products are a result of methodical research to formulate effective pet supplements and domestic products that keep our four-legged friends healthy and happy. We believe that pet owners deserve to know what goes into our pet care products. That’s why we are transparent with our customers about every single ingredient we use in our carefully crafted formulas. Our premium supplements feature unabridged ingredient lists, allergen information, and contact information to prove that we are a fully transparent pet care brand that you can trust. ✔ Omega Bites: Delicious bacon-flavored chewable supplements with all-natural ingredients that will keep your dog healthy from the inside out. These treats feature Omega-3 fatty acid that provides vital nutrients for healthy skin and coats, as well as cardiovascular function, while Vitamin E and Flaxseed Meal nourishes the coat and aids the digestive system. 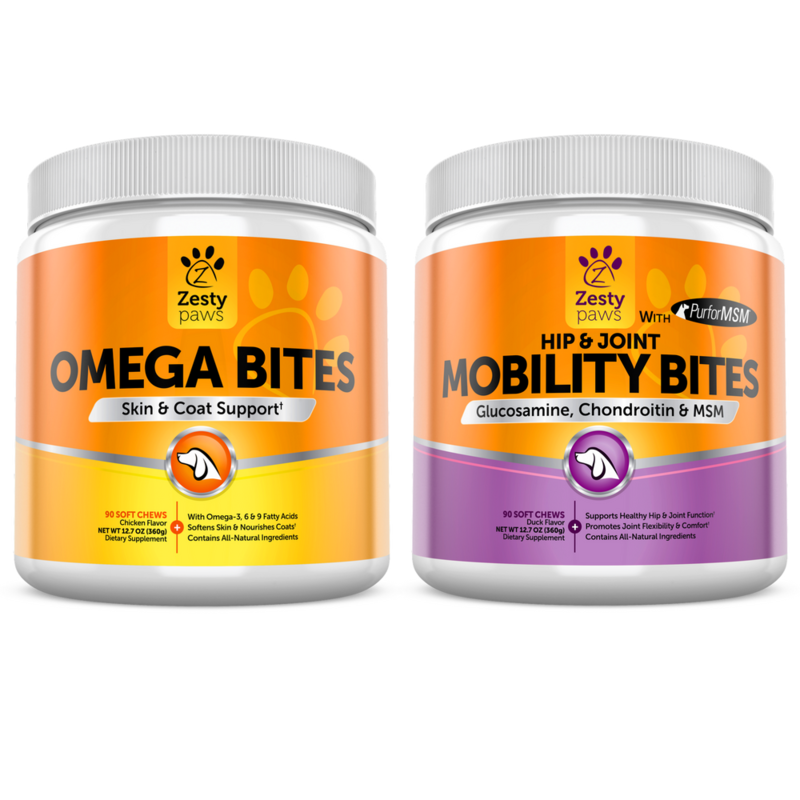 ✔ Mobility Bites: Jam-packed with premium all-natural ingredients to help maintain hip and joint health. Featuring a powerful blend of Glucosamine, Chondroitin and MSM, this mobility-boosting formula ensures that your dog will remain active and healthy for years to come. 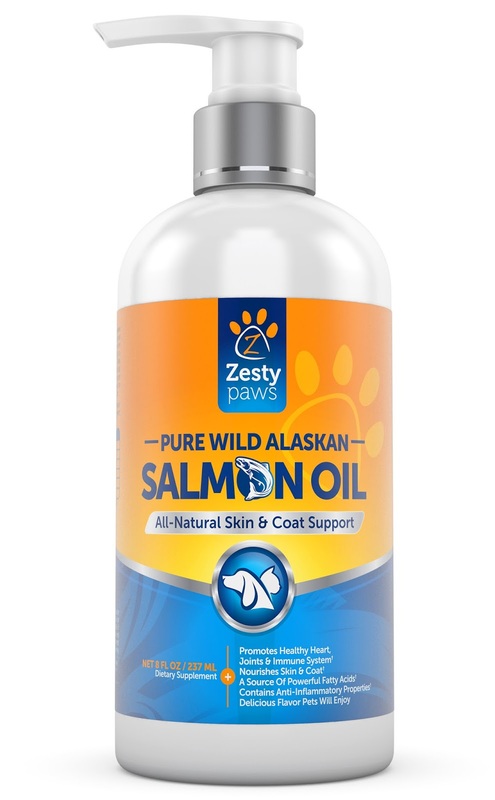 ✔ Salmon Oil: An all-natural dietary supplement with Wild Alaskan Salmon, which features Omega-3 and Omega-6 fatty acids to deliver premium nourishment to dogs and cats of all sizes. 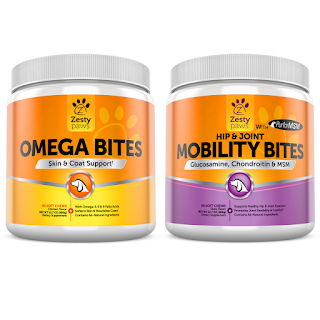 The EPA and DHA sourced from the Omega-3 in our specialized supplement delivers vital nutrients to support proper joint function, heart health and skin/coat condition, as well as enhancing the immune system. **These supplements can be used in conjunction with one another and will include dosage descriptions on each label. Please talk to your veterinarian professional prior to beginning any supplement schedule for your pet. In our house we use the Omega Bites and Mobility Bites at treats now. When our dog Cocoa, the Yorkshire Terror does his tricks he gets either an Omega Bite or a Mobility bite. And I use the Salmon Oil on his dry food. I like that the supplements are well made with good ingredients and are full of great all natural dietary supplements that my dog needs to stay healthy. Especially for movement, as Yorkshire Terriers are prone to hip displacement as they age. Also, I want his heart to stay healthy and for his entire body to stay healthy so that Cocoa is with us for as long as he can be. I love him so much and he is like my child. 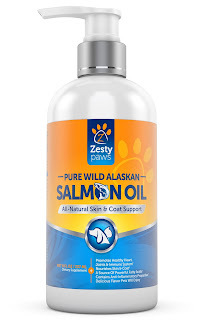 Zesty Paws are available online at www.zestypaws.com, www.chewy.com and http://amzn.to/2unFZdW.